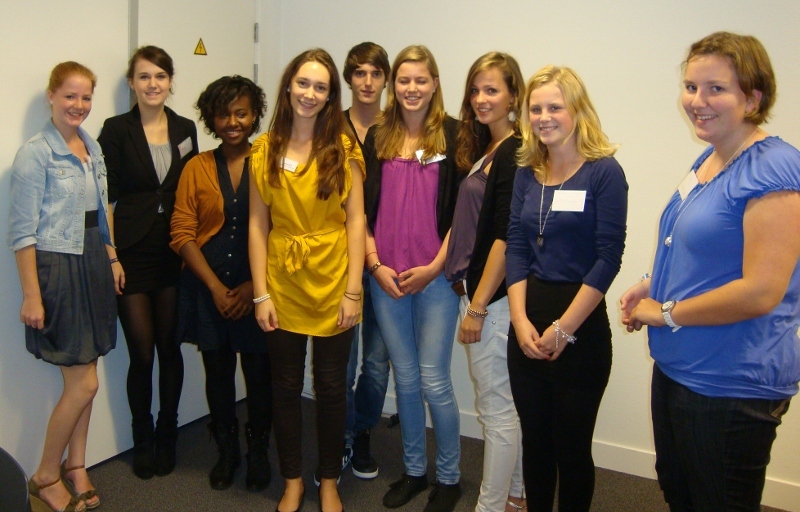 On Friday, September 30th 2011, the GENE event took place in Zwolle. This event was organized by Worldschool, a company which aims to connect schools and the real world, high quality education, students as active world citizens and sustainable development as an important value. In 2010, project CHANCE of Green Waters Foundation was the first project with Worldschool. This was a good opportunity to get out-of-the-box ideas of students, who aimed to help to enable students in Tanzania to continue with secondary school studies. Therefore, it was even more exciting to start the second phase of project MIKITA with Worldschool. Eight enthusiastic students of three schools attended the event. These students - Mariëlle Boxma, Carolien van Krimpen, Rachelle Jansen, Bobby van Gastel, Kim Overbeek, Arlette Birekeraho, Emma van Dijk and Iris Ruijsch - have chosen to make a business plan for the second phase of MIKITA. In short, the second phase of MIKITA is meant to create a supply chain for the women's products from Tanzania to the Netherlands and to link with designers or interested parties from the Netherlands who can help/work together with the women to produce unique products that can be sold in Europe. At the event, there were workshops, speed dating and presentations which provided them more information about development projects and which helped the students to get an idea of what challenges they will face. Full of confidence we are looking forward to hear the outcome of the projects, which the students will present during the second Worldschool event in April 2012. All in all, it was a wonderful start for a new cooperation for the second phase of MIKITA.